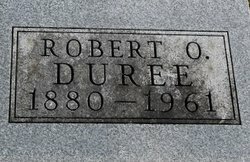 Robert Otis Duree was born on October 9, 1880, in Bellair, Iowa, the son of Lucy Parks and L. Duree ,He married Mabel Hall-Duree on February 28, 1910, in Adams, Iowa. They had one child during their marriage. He died in 1961 in Centerville, Iowa, at the age of 81, and was buried there. Son of James Goodin Duree (March 25, 1822 Hardin Co., KY-March 4, 1896 Centerville, Appanoose Co., IA) and Lucy Jane Parks (1849-Jan. 2, 1942 Centerville, Appanoose Co., IA). 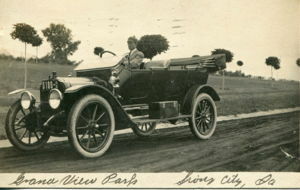 Husband of Mabel Hall (1884-1982). married Feb. 28, 1910 at Centerville, Appanoose Co., IA. She was daughter of Amos P. Hall and Mary Hall. Robert is 23 degrees from Amy Gilpin, 22 degrees from Joshua Slocum and 20 degrees from Henry VIII of England on our single family tree. Login to find your connection.